Phase I of a comprehensive benchmarking report on the LADWP was just released. 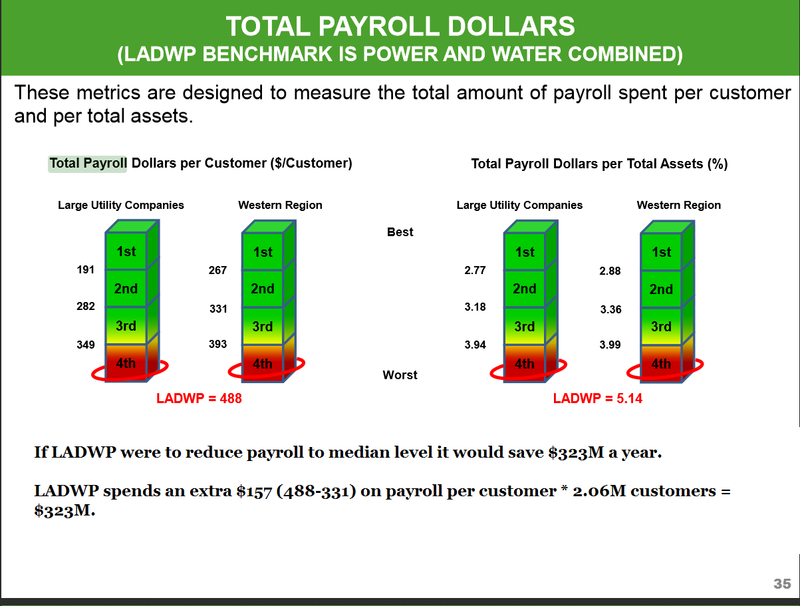 The report itself confirmed a few things most ratepayers already know – that the LADWP’s payroll costs are dramatically higher than that of their peers and their customer service is quite poor. 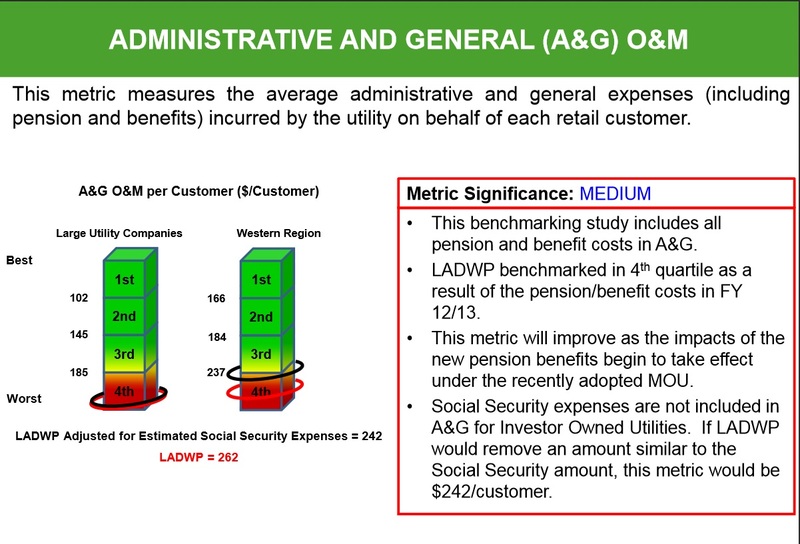 The LADWP ranked in the bottom quartile in terms of payroll spent on administrative staff, while ranking favorably (meaning spending less) for customer service. Are Santa Monicans paying too much for city employees?